Wild Animal Park, San Diego, CA – April, 2007The 6 ft. tall Shoebill Stork is a swamp-living bird that is native to tropical Africa. It has an enormously large beack, which it used to dig for fish and reptiles or the occasional rats the zoo keepers give her. 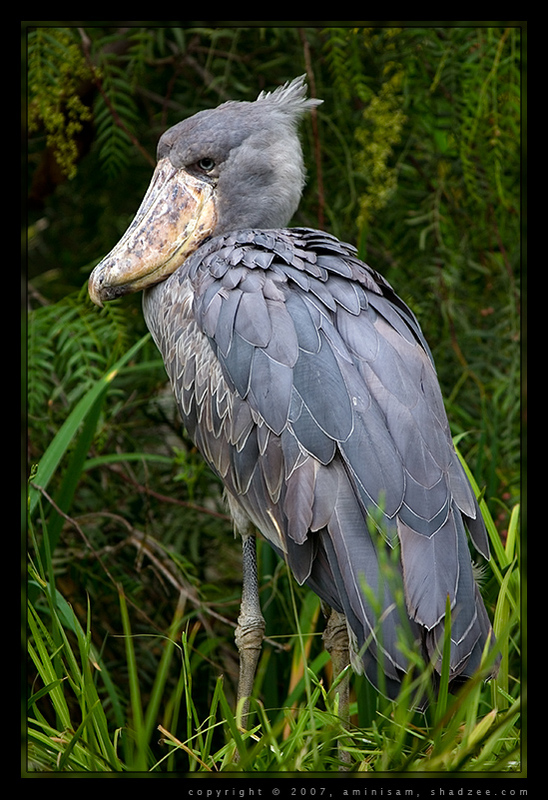 This entry was posted in Photography and tagged birds, san diego, zoo.